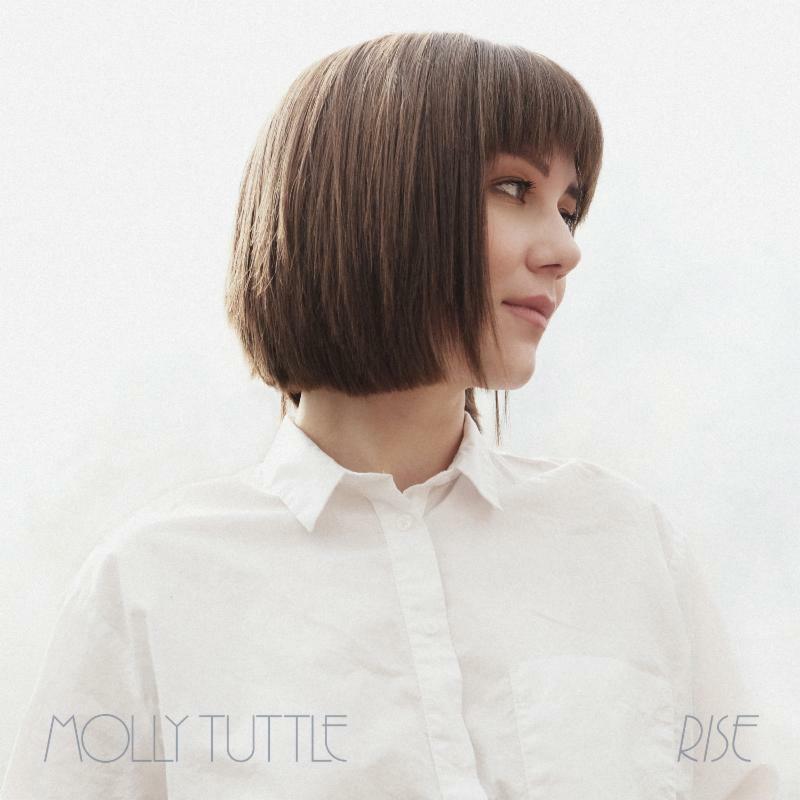 Award-winning songwriter and virtuoso instrumentalist Molly Tuttle turns a new corner with "Rise," her debut as a solo artist. Produced by Kai Welch, the seven-song EP will be independently released on June 2nd. Already a familiar face in bluegrass circles and folk festivals, where she's been performing since the age of eleven, Tuttle widens her reach with "Rise." "I wanted to push outside the box," Welch said. The EP's songs mix the fiery fretwork of her acoustic guitar with banjo, fiddle, drums, pump organ, electric guitar and other flourishes. "It was a good step to finding my own sound, and not staying tied to the traditional bluegrass sound. I grew up playing bluegrass and I still love it, but I'm influenced by other styles of music, too. I really wanted to create something original," Welch said. Written during a period of intense change that found Tuttle moving from California to Boston to Nashville, "Rise" covers a wide swath of ground, showing the full range of its maker's abilities. She writes every song here, singing them in a voice that's both pure and pointed. On an album that also features appearances by several all-stars of the roots music world - including Darrell Scott, The Milk Carton Kids, and Sarah Jarosz's longtime cellist, Nathaniel Smith - it's the 24 year-old Tuttle who shines the brightest. "I've always listened to a lot of songwriters who don't feel the need to stick to any one genre," Welch said. "Hazel Dickens was one of my first influences. She was part of the bluegrass family, but her songs stood out and just sounded like her. Growing up in the Bay Area, Laurie Lewis was another inspiration. She's a great songwriter and a fantastic instrumentalist. Gillian Welch and Dave Rawlings were huge influence, and I listened to them obsessively when I was starting to write songs." Tuttle also lists Bob Dylan, Joni Mitchell and The Smiths as additional influences, pointing to a record collection that's just as diverse as her own music. With "Rise," Molly Tuttle cements her place in the roots-music community. Recorded in engineer Erick Jaskowiack's studio outside of Nashville, the record is a tribute not only to her instrumental, vocal and songwriting chops, but her storytelling ability, too. Tuttle has never defined her ambitions so clearly, and with Rise, she's moving upward. "I took the title from a line in Walden from Thoreau, where he compares the human spirit to water," Welch said. "He writes, 'The life in us is like the water in the river. It may rise this year higher than man has ever known it.' That feels really relevant to me. It describes how I'm feeling with my music, and where I'm at with creating my own sound, and where we're at in the world right now. I knew it needed to be the title of the record." For more information, please visit mollytuttlemusic.com/.